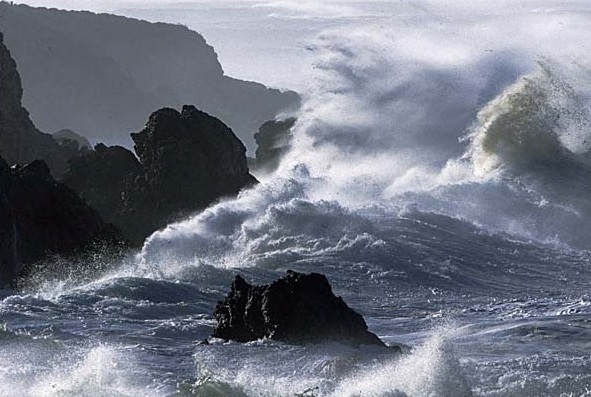 Roaring Ocean, Oregon Coast. Photo by Charles Seaborn. The fate of the oceans is now in human hands, yet most of us ocean conservationists don’t know much about why people do things that harm the ocean, or how to motivate behavior that is good for the ocean. As I note in my book, Heal the Ocean, the re-connection of people to the sea will be key to pervasive conservation and intelligent resource use. But how can we do that? I recently had the opportunity to learn about how humans relate to the ocean by moderating the Blue Mind: Your Brain on Ocean panel of scientists, futurists and communicators as part of the inaugural Bay Area Science Festival. We also explored how conservationists might be able to apply the insights of neuroscience, behavioral science, and psychology to improve conservation strategies and outcomes. 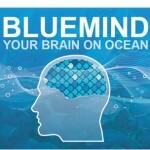 BLUEMiND Graphic from Inaugural Summit, June, 2011. The panel line-up included marine biologist and research associate at the California Academy of Sciences, Dr. Wallace J. Nichols, who also has an economics degree from Duke University, and hybrid and communications expert Sarah Kornfeld. “J.”, as Dr. Nichols likes to be called, and Sarah hosted a groundbreaking conference in June at the Academy of Sciences called BLUEMiND to explore the response of the human brain to the ocean. 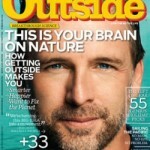 While there are studies exploring the effect of nature on the brain, like this one featured in a June Nature article, and the effects of meditation on the brain and music on the brain, there are far fewer studies about the effect of the ocean on the brain. Premium Ocean View. How Much is it Worth? 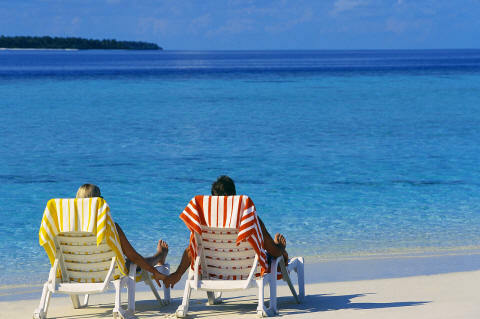 The idea that the ocean provides psychological benefits as well as the myriad other benefits we’ve come to depend on seems well known by marketers and realtors: otherwise, why would we spend our precious vacation time by the sea? 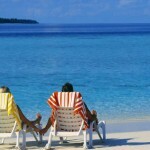 Why would we pay the 30% (or higher) premium associated with an ocean view? 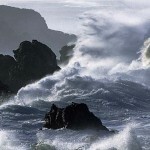 But if we love the ocean so much, why then are so many of us now disconnected from the sea, and why do so many of our actions damage the sea? 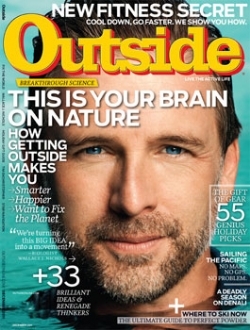 Dr. J. Nichols on Cover of Outside Magazine, December Issue. EDF is also engaged in the emerging field of decision science — or the how and why people make the decisions that they do — to determine how to best apply that to our objectives to stabilize the Earth’s climate, manage the oceans’ resources and value the Earth’s major ecosystems and the services that they provide. As described in this Scientific American article, the BLUEMiND initiative seeks to define a new field bridging neuroscience and conservation biology – neuroconservation. This was the jumping off point for our conversation during the Bay Area Science Festival. I welcomed the opportunity to tap into the thinking of Dr. J. Nichols, Sarah Kornfield and panelists Dr. Kelly McGonigal, a health psychologist at the Stanford Center for Compassion and Altruism Research and Education, and futurist Dr. Jake Dunagan who are exploring the connections between neuroscience, psychology and the implications for public policy. Dr. McGonigal, author of the forthcoming book, The Willpower Instinct: How Self-Control Works, Why It Matters, and What You Can Do To Get More of It noted that pictures are more powerful than words, but cautioned that environmentalists who show the horrific scope of a problem often end up alienating the very people they wish to engage. This is what McGonigal refers to as ‘compassion collapse’, in which people feel powerless and ultimately disengage from the problem. Compassion collapse could have real implications for conservationists working to engage people in causes without overwhelming them. Mesmerizing Mussels in Tidepool, Oregon Coast. Photo by Charles Seaborn. Dr. Dunagan‘s recent research focuses on the social, legal, and political implications of neuroscience. During our discussion, Dr. Dunagan described how providing people with alternate realities and visions of the future, and then working backwards to show the steps that lead to each outcome, can influence behavior and engage people in a mission. (Click here for related information on the “Future of Persuasion,” a 2010 research report directed by Dr. Dunagan and see Mind in a Designed World). Clearly our Blue Mind panel raised more questions than answers. But I think these are the right questions to ask, and the answers may provide the basis for a new wave in ocean conservation. Up next, BLUEMiND will be expanding this intriguing conversation to events in New York in the Spring of 2012, followed by BLUEMiND2 in June of 2012. 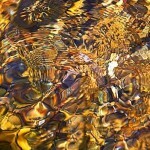 This entry was posted in Pacific, Seafood and tagged ecology, marine biology, neuroscience, ocean conservation, ocean health. Bookmark the permalink. Both comments and trackbacks are currently closed.